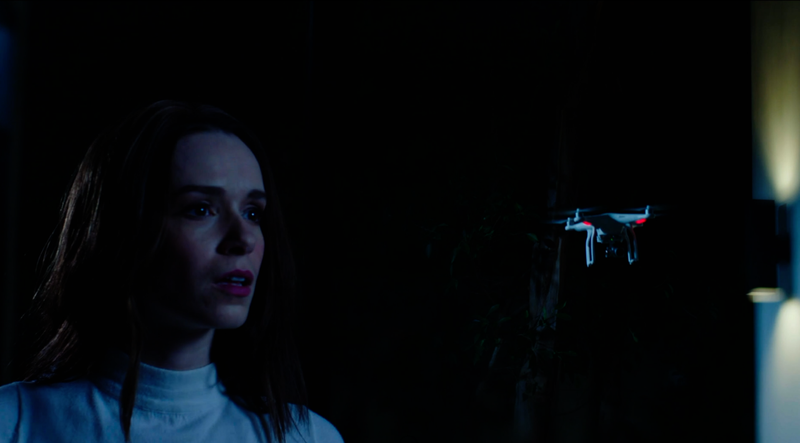 From Jordan Rubin the director of ZOMBEAVERS comes THE DRONE about the soul of a serial killer that takes over the drone he uses to spy on women with. Just because he's in a drone doesn't mean the killings stop and it's up to his ex-wife and her new husband to try and stop the carnage. Nominally a horror comedy the scares aren't really there and the humor is almost as low as you can go. The jokes are more groaners than laugh out loud funny ones. While there are some laughs more often then not you will be shaking your head. Because I loved ZOMBEAVERS so much I went along to the end of THE DRONE but found I was disappointed at almost every turn. While it isn't bad, it just never manages to walk the fine line of horror/comedy without tripping and falling on it's face.